White Selenite is an interesting fibrous form of Gypsum, which is often sold rough or polished into decorative objects like tea light holders. 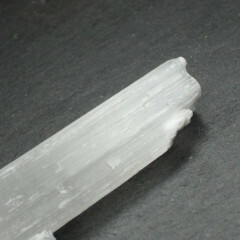 White selenite is one of the four varieties of gypsum. 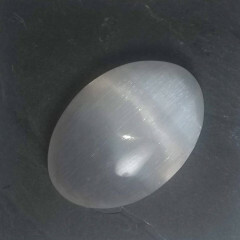 Transparent and colourless, the substance is named from the Ancient Greek word for the Moon because of its pearly sheen. The powerful vibrations clear, open, and activate the Crown and Higher Chakras making it an excellent accompaniment for all types of spiritual work. 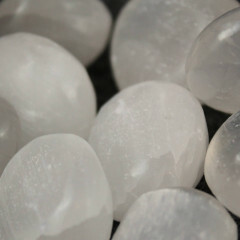 Selenite can also be used to strengthen memory which is good for dream recall and past-life work. 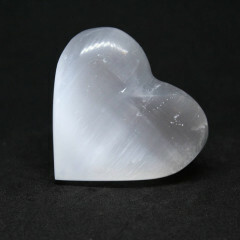 Selenite promotes powerful intuition and psychic awareness when used with the Third Eye chakra.